First, the 3.6 Liter Pentastar V6 Engine package offers an extremely respectable 300 horsepower which is more than enough to make your commute to and from work a fun experience for avid drivers. The Dodge Durango continues to be a popular mid-size SUV. When you're considering a vehicle purchase or lease, we'd love to show you the various trim levels that exist. You can also take a customized approach with your Durango by exploring the different feature packages. The Blacktop package is one of the most popular packages. It adds a high-gloss black touch to various exterior features, including the side view mirrors, 20-inch wheels, and dual chrome exhaust tips. You can also enjoy body-color fascias and unique badging. The Jeep Renegade is a popular SUV among consumers. At Morehart Murphy Regional Auto Center, the Renegade is sought after because it comes well-equipped with a number of features that enhance capability. Read further to discover its capability features. If you choose to equip the Renegade with one of the available 4x4 systems, you get the Selec-Terrain Traction Management System. 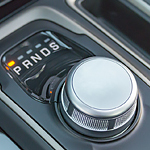 This comes with four drive modes that enhance capability. The drive modes include Auto, Snow, Sand, and Mud. A car cover is a great way to save money and hard work cleaning your vehicle every weekend. We at Morehart Murphy Regional Auto Center appreciate that people want to spend less time washing vehicles and more time having fun on the weekends. A car cover can deliver some time-saving benefits for a small investment. Some of the dirtiest things to clean off of a car or truck are environmental nuisances. Pollen, sap and animal footprints are things that make your car look dirty almost instantly. Dirt will also accumulate fast during storms. It's not a good thing to notice fluid on your driveway surface after parking your vehicle. Our service technicians at Morehart Murphy Regional Auto Center want drivers to know the most common fluid leaks that may require scheduling a check-up at our dealership service department. Hazy, hot and humid weather conditions, as well as running the air conditioner, usually causes a leakage of water from the vehicle, and it's usually not a sign to worry. Amber to dark brown motor oil leaks may lead to an overheated engine and requires checking out. How do you search for a new car? Do you start with the features? What about performance and technology? We here at Morehart Murphy Regional Auto Center in Durango understand the importance of finding the right set of features and are here to help get you into your next new car. The Ram 3500 is a popular heavy-duty pickup truck among consumers because it has much to offer. At Morehart Murphy Regional Auto Center, our team finds that this is a top choice among consumers because it comes with features that enhance power and efficiency. 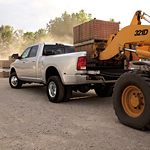 With the Ram 3500, there are three available engines and two transmissions. Are you considering the Jeep Cherokee? At Morehart Murphy Regional Auto Center serving Durango, we make it a goal to keep our consumers informed about our SUVs so that they can make an informed decision about which vehicle they should purchase. You can read below to learn further about the Jeep Cherokee's capability features. Cargo vans and passenger wagons should offer drivers ample versatility and capability, and the Ram ProMaster City offers capability features that are among the best in its class. Our team at Morehart Murphy Regional Auto Center tries to keep our consumers informed about our models, which is why we have summarized a few of the ProMaster City's capability features below. A class-exclusive bi-link rear coil suspension system is offered with the ProMaster City. This feature provides drivers with a seamless ride and includes Electronic Stability Control.